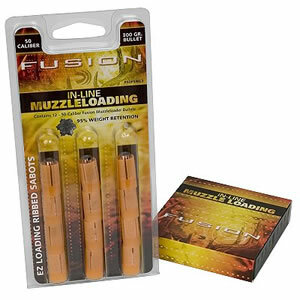 Inline muzzleloaders have changed the game and Fusion bullet construction brings more accuracy and on-game energy than any other option in the buisness. This .50 caliber offering marries a .45 caliber slug with a specially designed sabot for accuracy and dependability perfect for deer hunters. For use in .50 caliber muzzleloaders only.